It may not be a cure-all, but city leader's think the expanded misdemeanor diversion program could help first-time offenders. DURHAM (WTVD) -- Durham's mayor says it's not a cure-all, but a new program could help first time offenders right a wrong. On Tuesday city leaders announced plans to expand a program that gives 16 and 17-year-olds a chance to avoid lifelong criminal records. Starting in October, the misdemeanor diversion program will include non-violent offenders between the ages of 18 and 21. "This is a big deal," said Marcia Morey, a District Court judge. "We want to save these kids-- Durham's youth." Under the program, the offense has to be a misdemeanor and arresting officers will have some discretion. Traffic violations will be excluded along with offenses involving a firearm or sexual allegations. Morey said the program targeting 16 and 17-year-olds has had a 98% success rate since it started last year. Out of 116 young offenders, only one participant failed to comply with the program's strict standards. After completing the program, Morey said seven young offenders found themselves in trouble with the law again. "What we're hoping is that it serves as a deterrent," said Mayor Bill Bell. He added that it could lead to a reduction in crime over time as young offenders are given the option to apply for jobs or school without a criminal record. 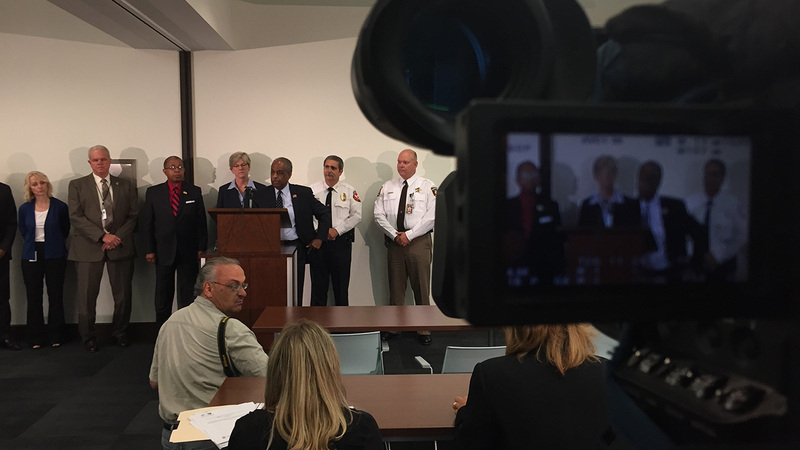 The expansion of the program is in response to allegations of racial bias against Durham police officers. As part of a list of recommendations from the community and the city's Human Relations Commission, the city is implementing the program to address concerns for racial disparities. Instead of a jail sentence or a hefty fine, participants will complete several hours of community service and participate in educational workshops. They're also required to attend an intense court session. Critics of the police department's marijuana arrests are applauding the new program. They call it a good first step with the hope that it will eventually include offenders older than 21. "It's going to have a great impact on 21-year-olds who haven't been convicted any crimes to understand it doesn't matter what community they're from," said Umar Muhammad with the Coalition for Social Justice. "They can still have that same equal opportunity at a second chance."